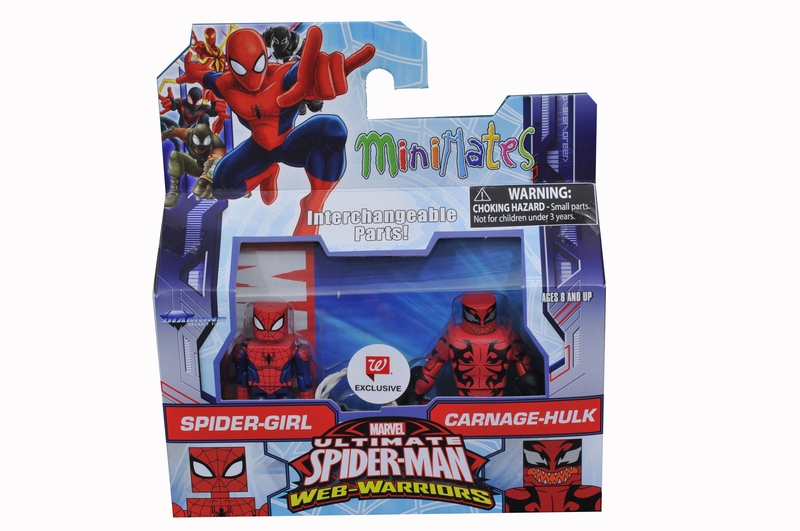 – From Marvel’s Ultimate Spider-Man, Spider-Girl faces off with Hulk Carnage! 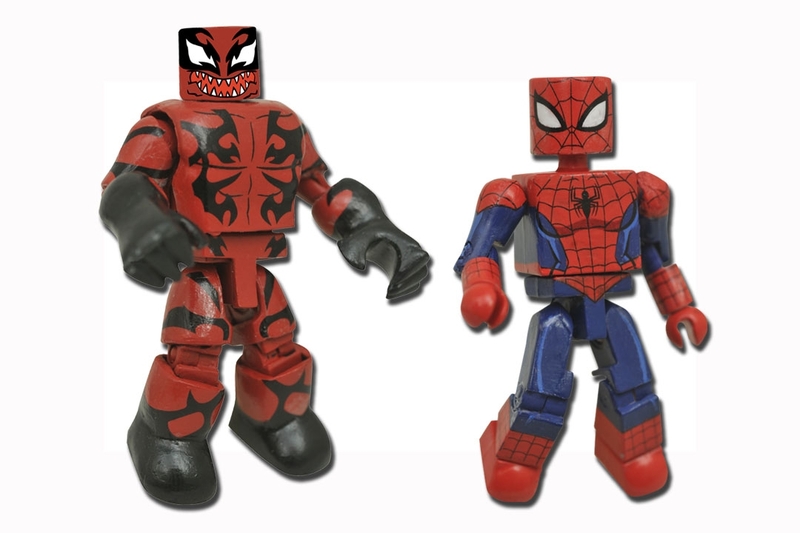 May “Mayday” Parker is the daughter of Peter Parker from an alternate Earth, while a Carnage-possessed Hulk ravaged New York City in “The Symbiote Saga.” Spider-Girl includes a webline accessory. 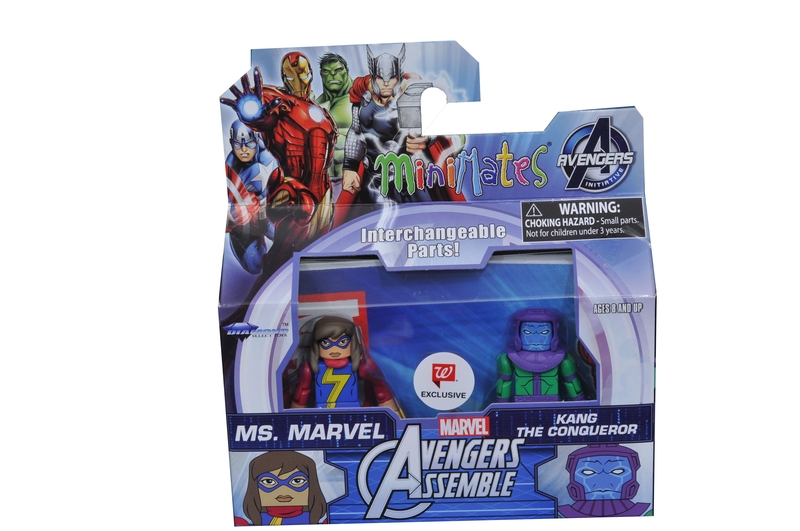 – Also from Marvel’s Ultimate Spider-Man, Ms. Marvel battles Kang the Conqueror! 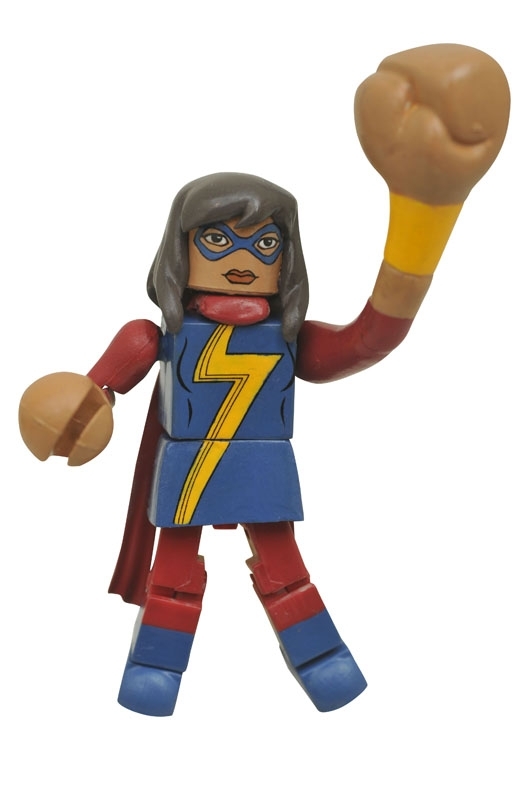 Teenage Inhuman superheroine Kamala Khan comes with an interchangeable stretching arm and giant hand to challenge the master of time himself! 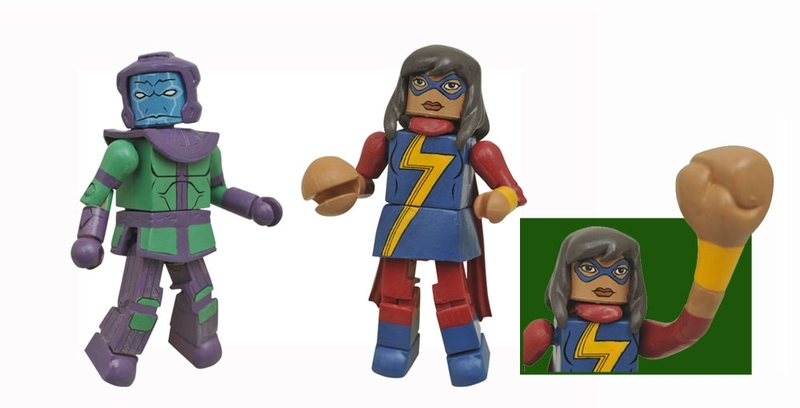 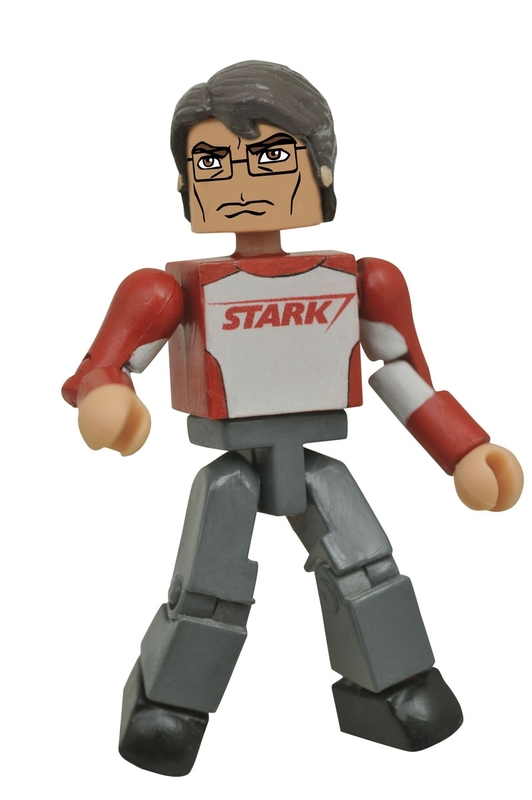 This is the first Marvel Minimate of the new Ms. Marvel! 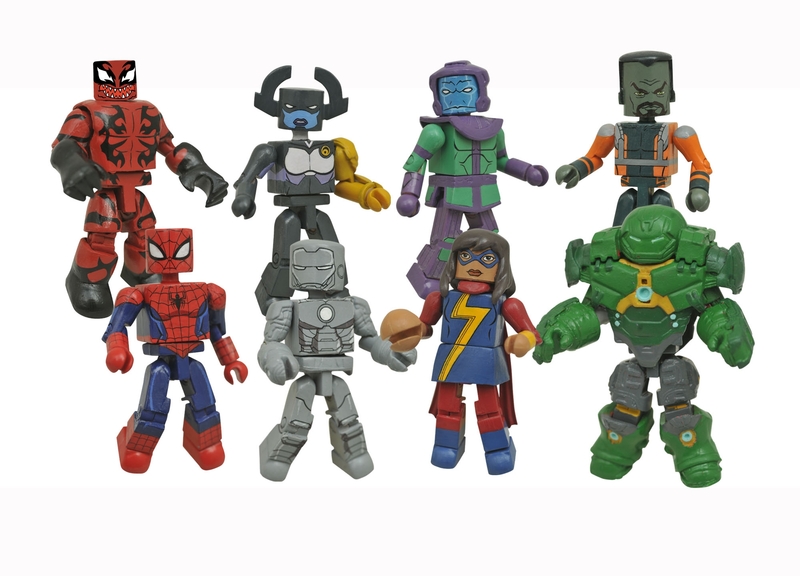 – From Marvel’s Avengers Assemble, Iron Man’s Mark II armor goes up against Proxima Midnight, a super-strong lieutenant of Thanos. 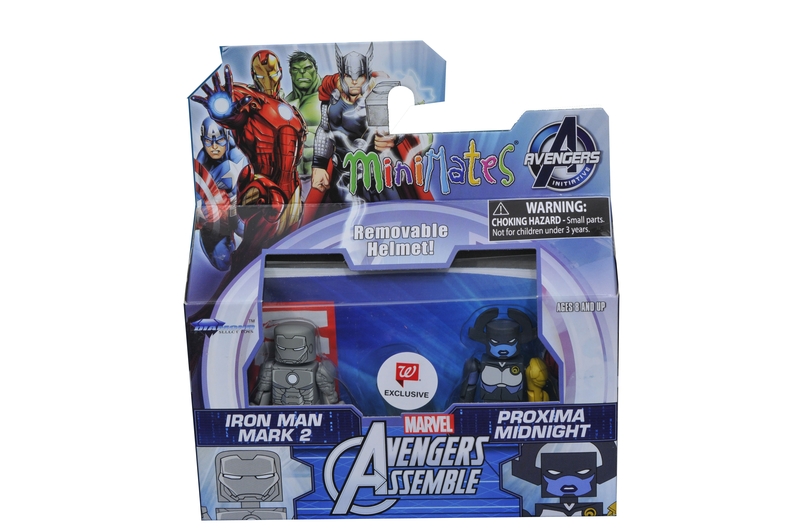 Iron Man eatures a removable helmet and flight stand, while Proxima comes with her spear. 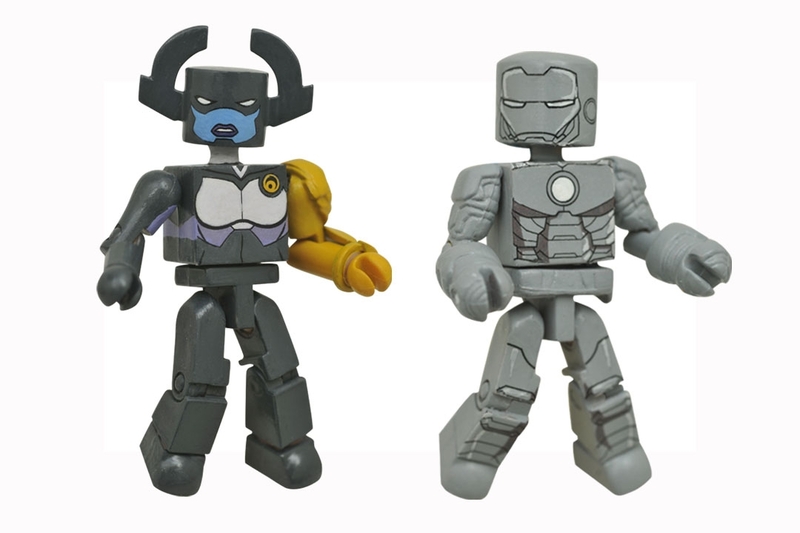 This is the first Marvel Minimate of Proxima Midnight! 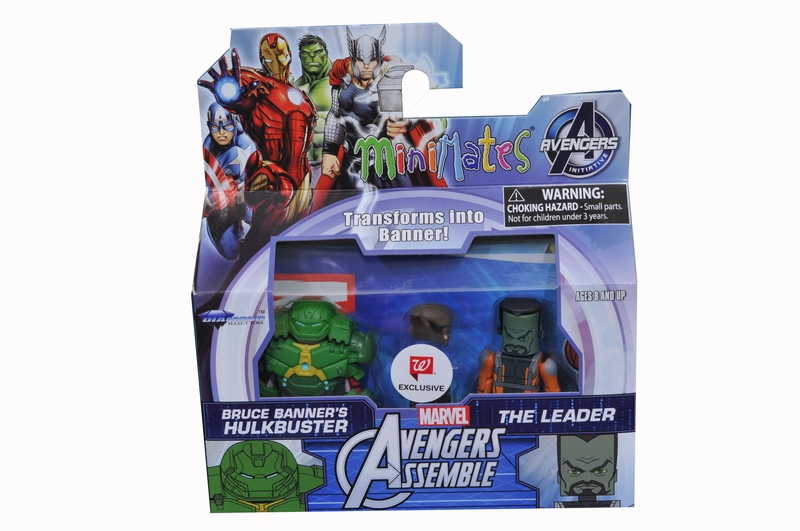 – Also from Marvel’s Avengers Assemble, Bruce Banner puts on his very own Hulkbuster Armor to take on the gamma-irradiated genius The Leader! 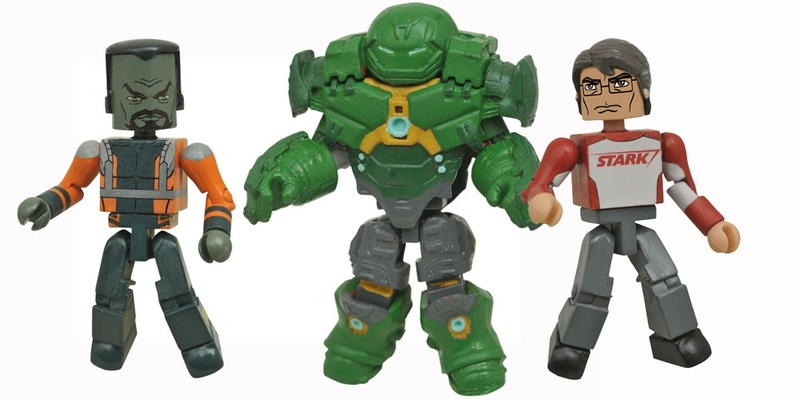 The Hulkbuster Armor is removable, and Bruce includes alternate parts so you can display him in his Stark Industries T-shirt!